Robert Pattinson attended the Paris Fashion Week on Jan. 18 and his fashion statement has been met with negative remarks. The “Twilight” star was at the event to see the Christian Dior Homme show as he is one of the official celebrity faces of the said designer brand. According to The Hollywood Life, Robert Pattinson showed up oozing with confidence but fans did not like his looks when he appeared at the red carpet for photo ops. The actor wore a leather jacket on top of a turtleneck and he paired this with brown trousers and shiny black boots. While this appears to be a good ensemble, what made the fans say, “What is that? !” and “I don’t get it,” was the piece of oversized brown coat that he wore over his jacket. Likewise, Robert Pattinson’s fashion statement at the latest Paris Fashion Week was really unusual and fans could not help but criticize his overall appearance. Most probably, the most negative description that the actor received was that he looks like a killer. 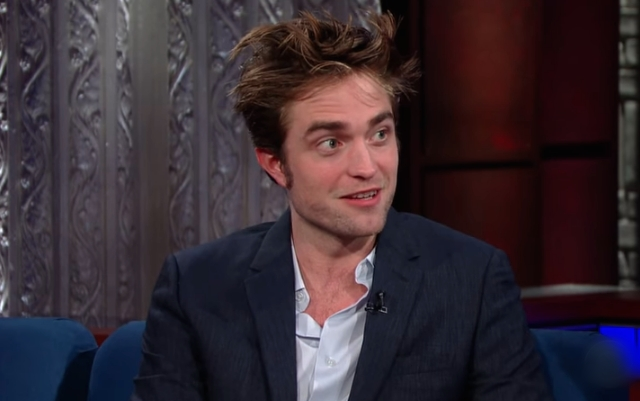 Robert Pattinson’s “deranged killer” fashion was completed by disheveled hair that was slicked down by the side of his face. Meanwhile, Robert Pattinson was alone when he attended the fashion show. Many people noticed that Suki Waterhouse was nowhere near the actor but instead, he was seen with another woman after the event. Robert Pattinson and Suki have been reported to be dating for months now. Although they have not confirmed or commented on their rumored romance, the evidence is overwhelming. They have been photographed kissing and hugging on the streets of London and this happened many times too.